Next in the filter type “http.cookie contains datr”. You ask why? Because, when a user logs in to facebook, he is given some cookies which is unique to him. If we replace our cookies with the victim’s cookies, we can login to his account as then facebook wont know the difference. So now you have it :D. The datr cookie, c_user cookie, lu cookie, sct cookie, w cookie and xs cookie. These are the main cookies you need. 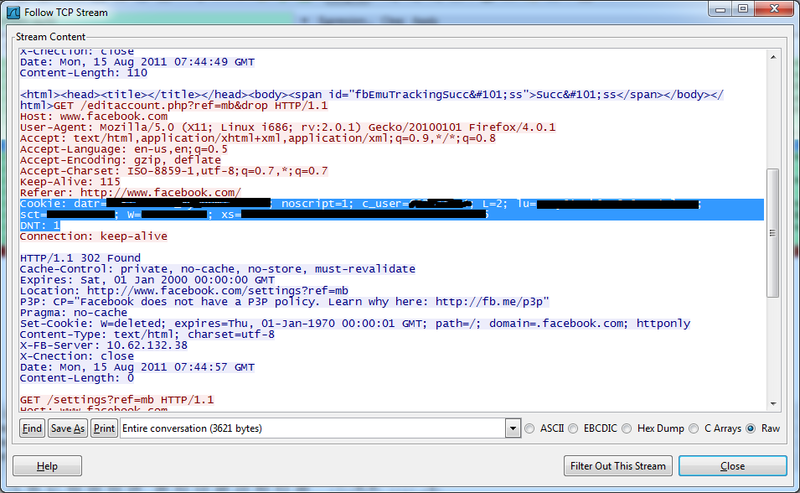 IMPORTANT: Once you do this, again type http://www.facebook.com in the URL and click enter. Basically you are reloading facebook after deleting all cookies. Now login to your account with your username and password. After logging in , click on cookies in web developer add-on and click on “view cookie information”. And there you have all your cookies :p. Now what to do?! I guess you know it by now. ! 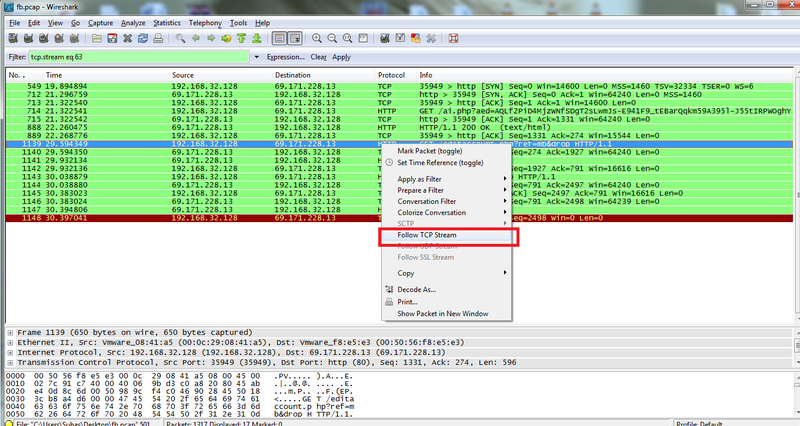 Click on “edit cookie” for each cookie there and replace the cookie value with the value you got through wireshark. 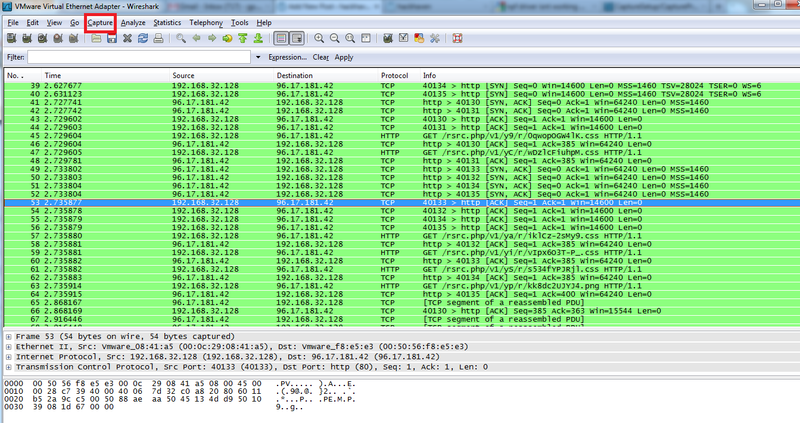 If you did not get all the cookies in wireshark its OK! 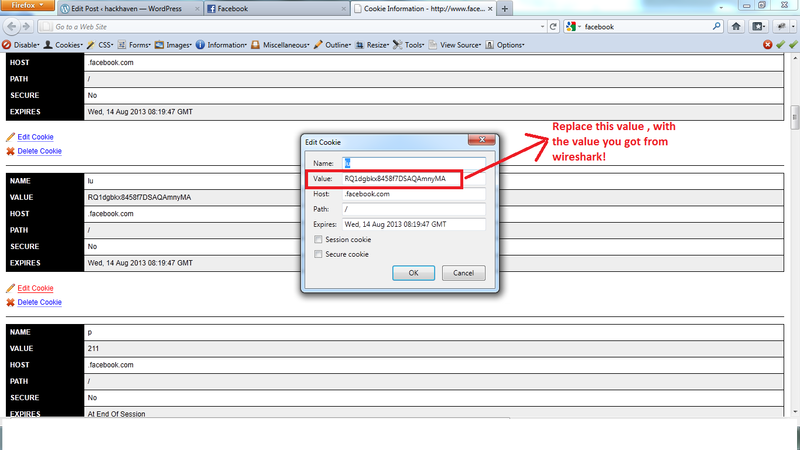 But mainly, you should look to replace the datr cookie, c_user cookie, lu cookie, sct cookie, w cookie and xs cookie.